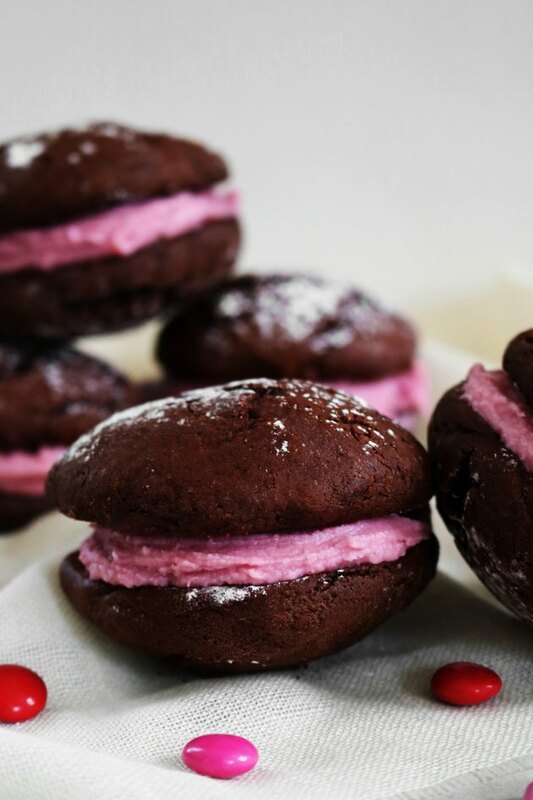 This Valentine's Day, ditch the boxed chocolates and treat your loved ones to chocolate whoopie pies with red wine buttercream. The recipe combines the best ingredients of the holiday; chocolate, wine and lots of love. 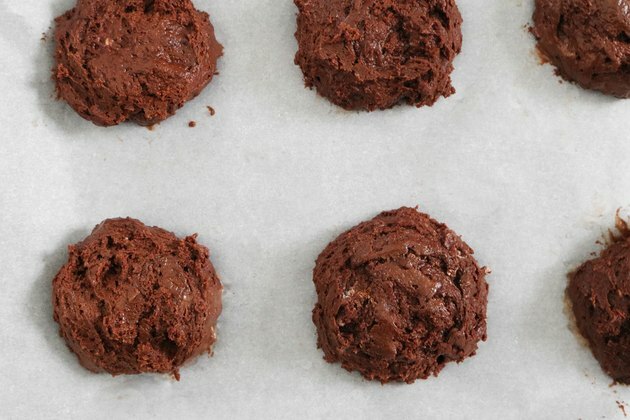 Plus, since they're easy to make and share, you can gift them to all of the special people in your life. Just don't forget to treat yourself, too! Pre-heat the oven to 375° Fahrenheit. Line a metal baking sheet with parchment paper and set aside. 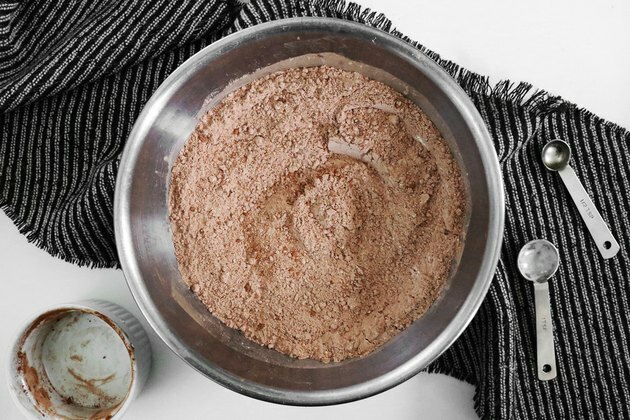 In a large bowl, combine the flour, cocoa powder, baking soda and salt. Mix well. In a separate bowl, combine the butter and sugar. 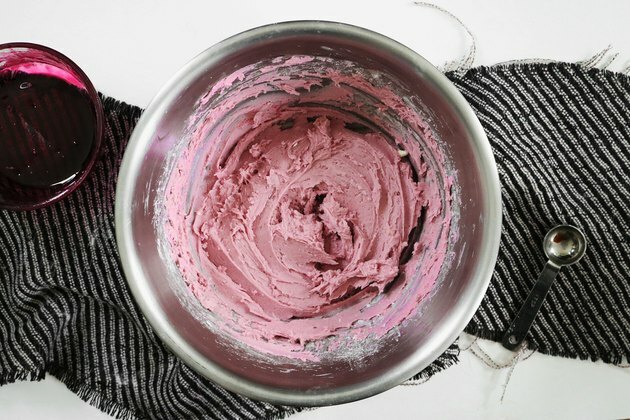 Beat on medium-high until light and fluffy. Add the egg and vanilla. Beat until combined. Adjust the beater to low speed. Slowly add half the flour mixture, then half the buttermilk. Repeat with remaining flour and buttermilk. Beat on medium until the ingredients are fully combined. 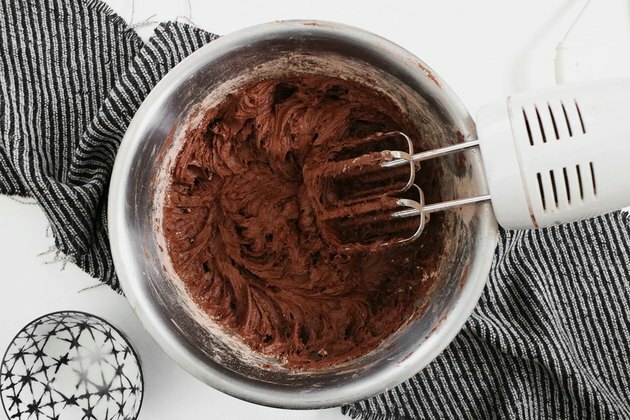 The batter will be sticky and thick. 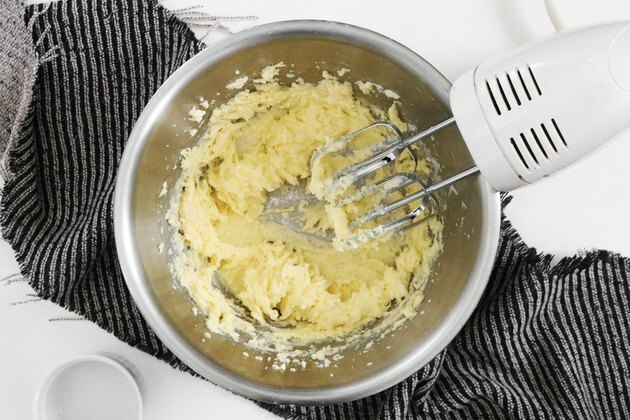 Scoop the batter onto the sheet, 1 heaping tablespoon at a time. Place them about 2 inches apart. 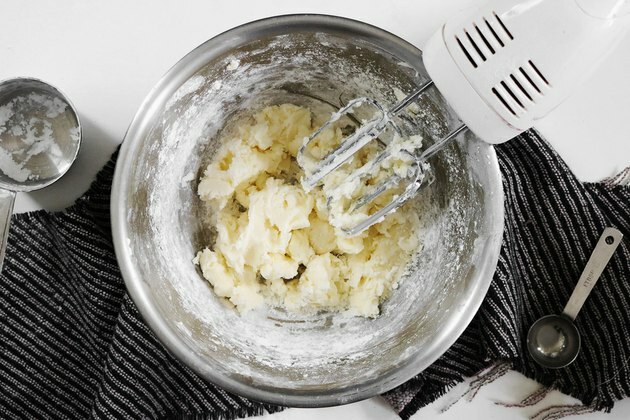 Moisten your fingers with water and smooth out each scoop of batter, if necessary. Bake for 10 to 12 minutes or until the pies spring back to the touch. Let cool for 5 minutes. Transfer to a baking rack to finish cooling. Dust with confectioner's sugar, if you'd like. 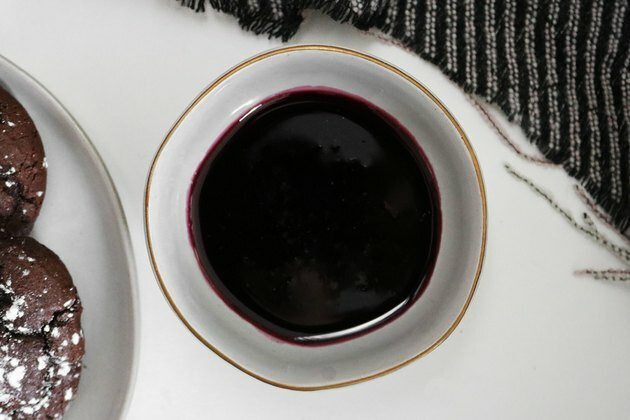 In a pan over low-medium heat, combine the red wine and white sugar. Mix until dissolved. Bring to a boil, then reduce to a simmer. Continue cooking until the wine is reduced to about 1/3 cup, about 15 to 20 minutes. It should be thick and syrupy. In a large bowl, beat the butter on low speed. Slowly add the confectioner's sugar until combined. 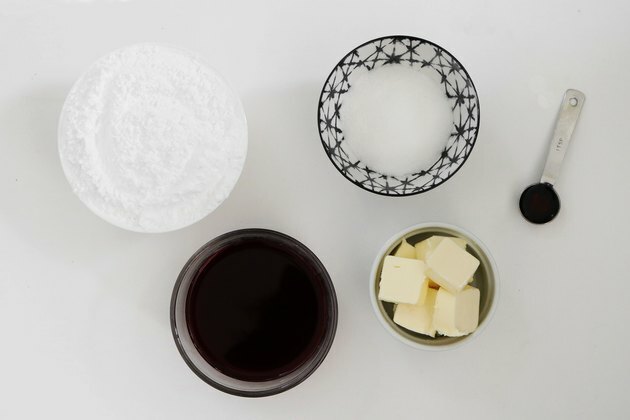 Add the reduced wine and vanilla extract. Mix well with a spatula or spoon. If you'd like, add 2 to 3 tablespoons of milk to thin out the buttercream. 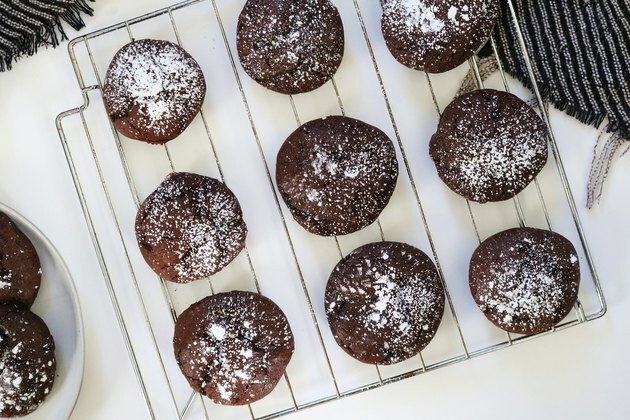 You can also sweeten things up with sprinkles or mini chocolate chips. 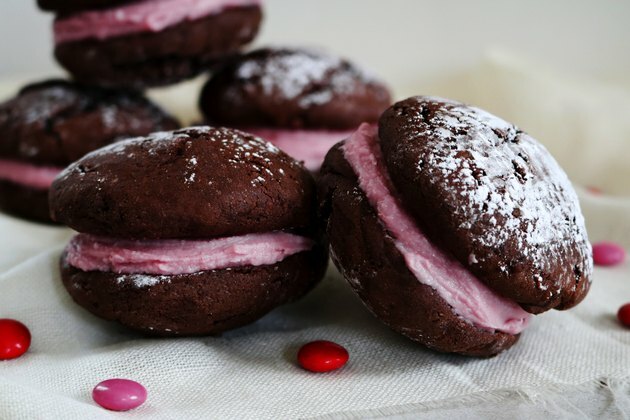 Beyond Valentine's Day, these adorable whoopie pies are perfect for other festivities. Make them for Easter, birthdays or just because!